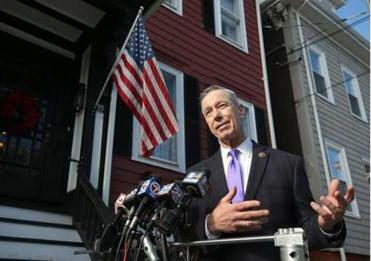 “I hold him in extremely high regard, I do, personally and professionally,” Representative Stephen Lynch said of Joe Biden at a news conference Friday outside his South Boston home. He’s not even running — yet — but former vice president Joe Biden appears to be a shoo-in for Congressman Stephen F. Lynch’s endorsement if Biden seeks the presidency in 2020. “I hold him in extremely high regard, I do, personally and professionally,” Lynch told the Globe at a news conference Friday outside his South Boston home. “So either he would have to not be a candidate, or . . . someone would really have to stand out” to win his support. Biden said in December that he considers himself ‘‘the most qualified person in the country’’ to hold the Oval Office and that he would decide whether to run early this year. Lynch called Friday’s conclave to blast President Trump for blocking a planned trip to Afghanistan for a congressional delegation that was to include Lynch, House Speaker Nancy Pelosi, and other senior lawmakers. But he took questions on an array of topics, including the 2020 election, and he said he is likely to hold off on aligning himself with a candidate until Biden announces his decision. 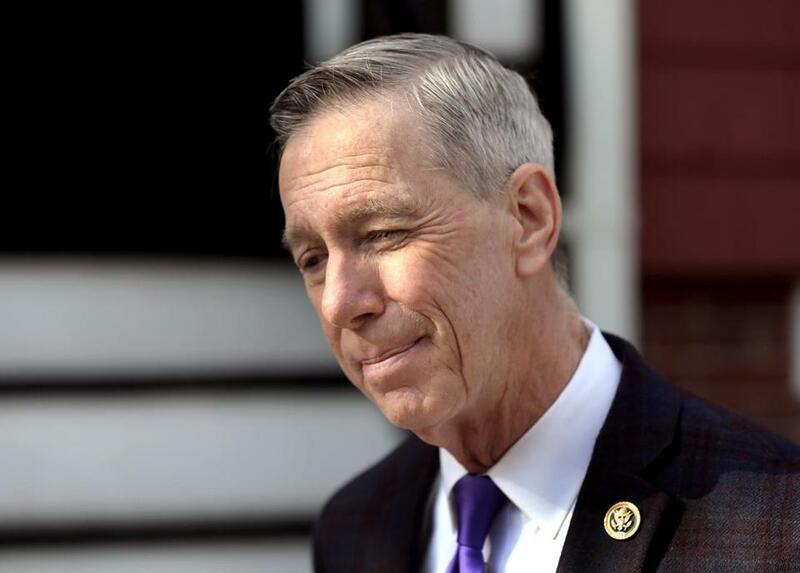 He was less effusive when asked about a duo of Massachusetts Democrats who have demonstrated interest in the presidency — US Senator Elizabeth Warren, who has formed a presidential exploratory committee, and US Representative Seth Moulton, who is set to speak next month at a Democratic Party event in New Hampshire, home of the first-in-the-nation primary. “It was extremely reckless and thoughtless — and potentially very dangerous — that the president announced our itinerary going into a war zone,” Lynch said. But, when asked about Biden, the congressman seemed to light up at the mention of the former Delaware senator’s name.